I know that it's March but better late than never, right? 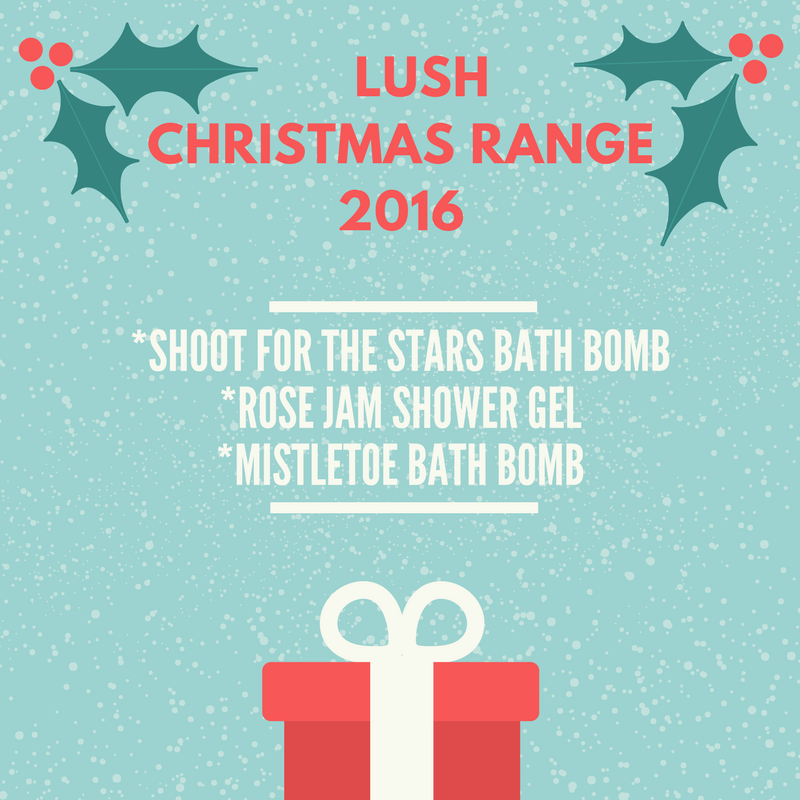 Today I am going to talk about three products that I have tried from the 2016 Christmas Range. It frustrates me that I will be talking about this wonderful bath bomb and you can't even get it in store. 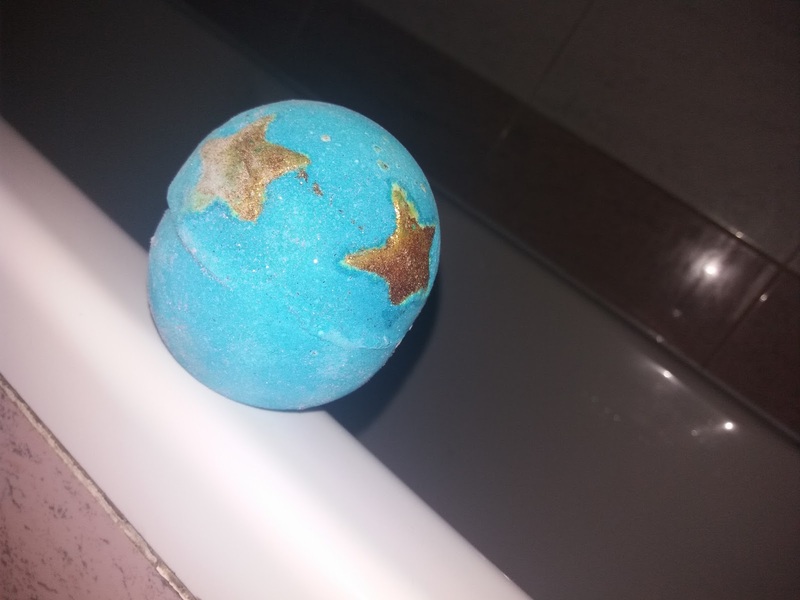 The bath bomb is Shoot For The Stars, and although I am hoping that it will be a part of the 2017 Christmas Range, I am worried that they will either change it again or go back to their original Shoot for the Stars bath bomb that was released a few years ago. 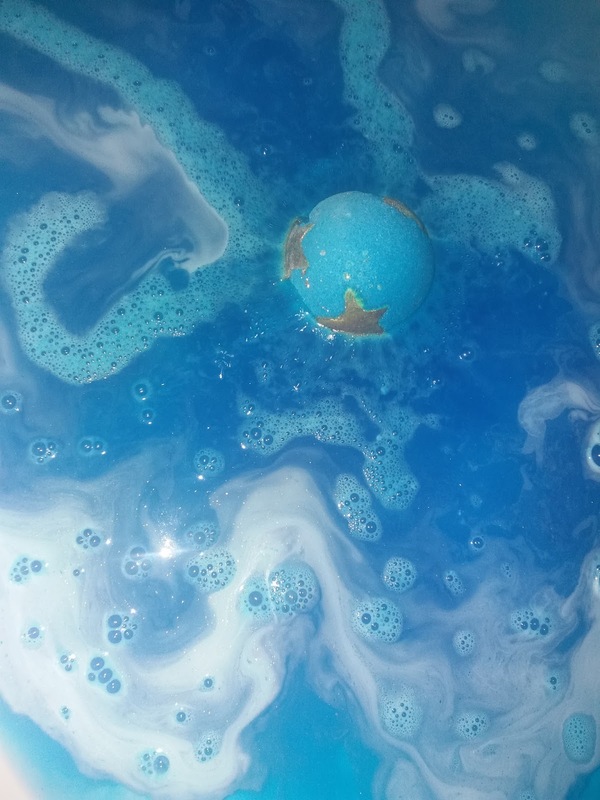 This gorgeous bath bomb is a deep shade of blue with three golden stars embedded on the surface. 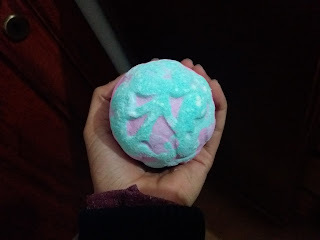 Although I haven’t even tried the other version of this bath bomb, I must say that I am in love with the simple exterior of this new version. The stars act as little bath melts since they release a lot of oils as they slowly dissolve. Talking about the scent now, Shoot for the Stars possesses an extremely strong sweet scent which is probably the result of the amount of orange oil and bergamot oil in it. 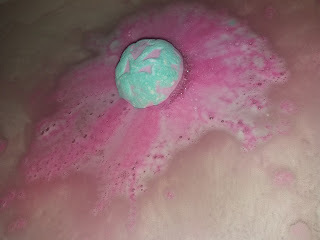 However, if you just sit there sniffing the bath bomb for like 5 minutes (as a friend of mine did in a Lush Store) you will notice the layer of cocoa butter that is kinda of a base note. So if this bath bomb was a perfume it would have the Orange oil and Bergamot top note, and a cocoa butter base note. 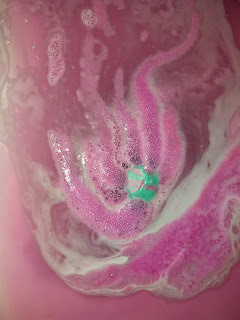 On to my favourite part to any bath bomb…THE WAY IT DISSOLVES IN WATER. I do think that I could bathe in any bath bomb as long as I have sat on the bathroom floor and watched it fully dissolve. This beauty dissolves quickly as soon as it hits the water, shooting out waves of blue, which are then followed by streams of golden yellow as the stars also start to slowly dissolve. End result : Blue + yellow = green. A very beautiful dark, deep shade of green spotted with the glitter. You have no idea how much I hope that this bath bomb comes out again in December, and how much I am frustrated that I didn’t buy more when I had the chance ! In my defense, I didn’t purchase this bath bomb - it was a gift and it was part of a gift box. Next time it comes out I will be buying a bunch of it though! Have you tried this bath bomb? Do you like it or do you prefer the older version? Let me know down in the comments below ! I can't believe how much I am enjoying all the floral scents that Lush has to offer. This time I will be talking about Rose Jam Shower Gel, and as the name implies it is has a rose scent that is rather sweet. 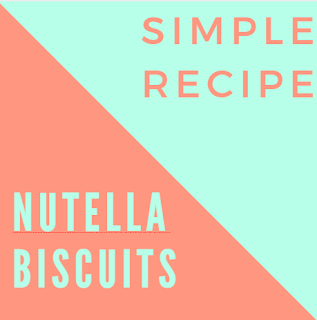 The obvious presence of the rose scent is the result of the ingredients included into the mix - rose oil and rose absolute. Also, the inclusion of geranium oil adds to the floral note of this shower gel. The Sicilian lemon oil is not that noticeable but if you truly focus on the scent you will realize that the zesty element is present. The Goji berry juice brings in a vitamin element to the shower gel and together with the argan oil, it creates a shower gel that nourishes your skin, and makes it feel soft. Rose Jam has a thick consistency and a translucent red colour which lathers up wonderfully as it is worked into the skin. Although this shower gel has a soft scent, it remains on the body for a few hours after use. 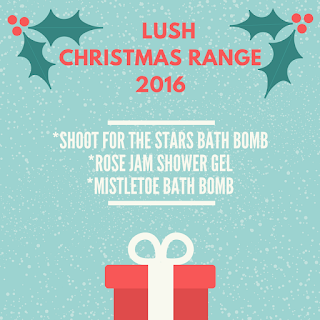 I simply adore this shower gel, and it is a shame that it is only out as part of the Christmas Exclusives. This beautiful pink bath bomb with a pastel green design stands out scent-wise with it's mix of jasmine, vetivert and ylang ylang oil that make it sweet with an undertone of a floral scent that is thick yet not overwhelming. 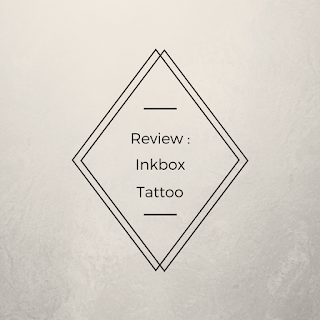 The scent is comforting and it is fairly prominent as you relax in the bath tub. When placed into the water,Mistletoe immediately creates a foamy layer with waves of pinks, purples, and white until it fully dissolves turning the water a beautiful dark purple-pink with swirls of pink and white bubbles swimming around the surface. 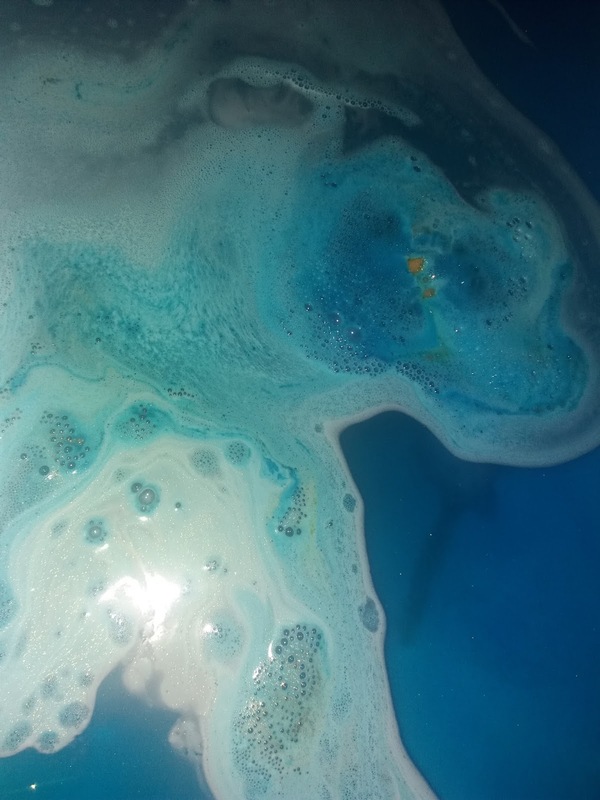 This bath bomb is great for if you are suffering from muscle pain as Vetivert is great to sooth the pain. What I love about this bath bomb is that the scent remains in the air, and on your skin even after you get out the bath! I could smell it for hours afterwards. HOWEVER, I don't know if my bath bomb was defective or something but the green part of my bath bomb didn't dissolve with a swirl of colour…it just dissolved. 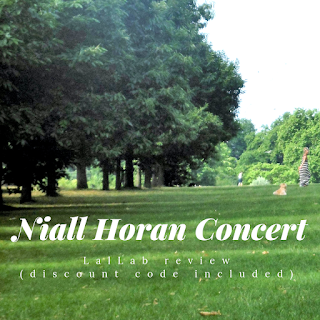 You can see from my photos the lack of great green swirls, when in other people's reviews there are large green swirls. In mine the green swirls are small and barely noticeable.